Born in the whirlwind of historical events, LCC INTERNATIONAL UNIVERSITY is an open place where transformation happens. It changes students, instructors, and those who choose to share the journey. 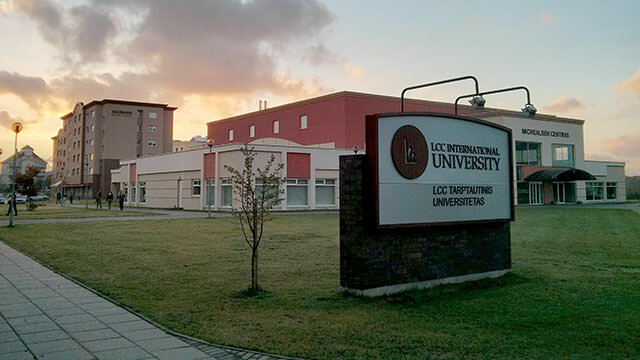 LCC International University is a nationally and internationally recognized liberal arts institution in Klaipeda, Lithuania. Established in 1991 by a joint venture of Lithuanian, Canadian and American foundations, LCC has distinguished itself in the region by offering a unique, future-oriented style of education and an interactive academic environment. LCC's educational model places broad-based education within the context of a Christian academic community in order to extend education beyond the classroom. As a part of LCC’s vision to prepare students to participate actively in the life of their home communities, the role of each individual in the building of society is emphasized through active participation in community projects and hands on practicums. LCC INTERNATIONAL UNIVERSITY offers accredited Bachelors and Masters programs in social sciences and humanities. LCC is a liberal arts university. Therefore, each program includes multidisciplinary core curriculum courses which affirm students’ critical thinking and conflict transformation skills while challenging students within a multicultural perspective and Christian worldview. Current student enrollment is around 600 (40% from Lithuania, 60% International), who come from more than 27 countries of the world. Each semester more then 30 Study Abroad students come to LCC from North American universities. One-third of LCC faculty are Lithuanian while two-thirds are from Western Europe, Canada, and the United States.